Are you based in the northeast part of Australia? Are you interested in taking a course to improve your writing skills, or to gain a degree, or a postgraduate qualification in the writing field? 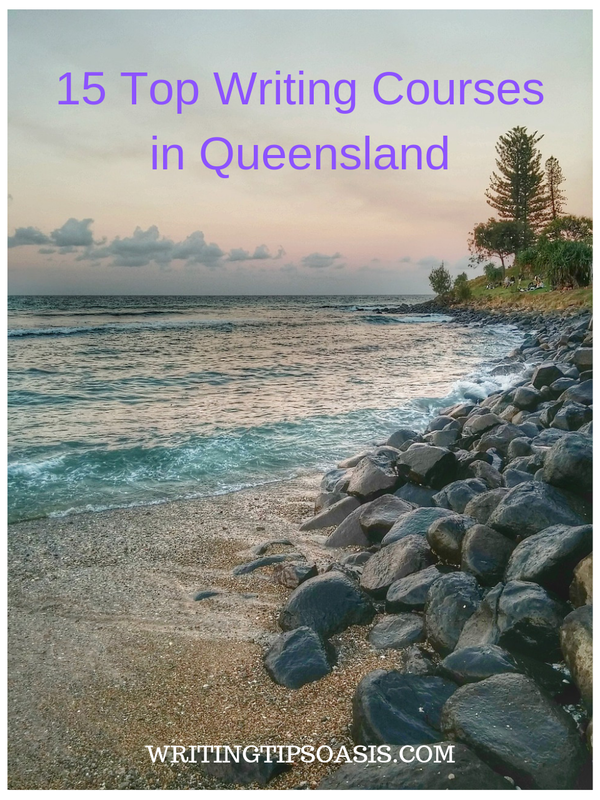 Continue reading to learn about 15 top writing courses in Queensland, with a particular emphasis on creative writing and screenwriting. Creative Writing courses often skip the basics and delve right into the advanced strategies. This can be a bad idea because a lot of writers don’t know where to start. Simple, practical tips can be the handiest while writing your book or script. This course will take you through each step in a careful manner and teach you how to master the basics. You can gauge the correct way to write a scene or set a background and work on your characters. A group of writers comprising various ages join the workshop. This gives you a chance to interact with writers of all levels and skills. The 2 day workshop is taught by Angela Slatter and costs $450. You can check this link to book a spot. If you’re a beginner and need to learn the basics of creative writing, this course is ideal for you! Start small by following exercises and tips to know your style. This online course takes place over 8 hours and gives you an understanding of the basics involved in writing. Writers and authors will figure how to research, find ideas and inspiration and keep innovating. Any professional or published writer can also consider undertaking this course. Over time you will develop your skills and find your niche. Details of registration can be found here. At only $99, this course is a steal for your career! Register to create an account and you can start learning immediately. Creative Writing is a difficult art to master. But doesn’t mean one can’t try! This course is jam packed with ideas and strategies. You will be able to formulate your personality, style and preferred genre. You will also learn what you aren’t good at. Knowing your weaknesses can make you a better writer. Debate and discussion is encouraged instead of a formal teaching environment. Writers of all genres and styles can try this 2-day workshop to refresh themselves. If you are facing a writer’s block, then picking an intensive and short workshop like this could prove beneficial. Writers and authors will also get a chance to study works by famous and successful writers. Email them to learn about fees and availability. Writing is a creative skill but learning it from a practical point of view is always sensible. Give your career a boost by studying this unique course that combines creative writing and publishing. The intensive 3 year full time course allows you to experience the publishing and writing industry beforehand. Publishers and editors find it frustrating to work with novice or amateur writers with no idea of the literary industry. This course can give you an edge over other writers or authors. Students get a chance to learn from experienced industry professionals, published authors, and successful writers. You will also be able to create a portfolio and establish a skill set in the genre of your choice. Stories, short stories, novels, poetry, children’s stories, young adult fiction and screenwriting are some of the genres you will experiment with. Fill the form at the end of the page to learn more about schedule and admission requirements. The fees and expenses are listed here along with any other queries you may have. A Master’s degree is an excellent way to gain professional insight and knowledge. This one year course at the University of Queensland allows you to specialize in the field of your choice. One can benefit from learning the aspects of professional writing along with creative writing. This gives you the added advantage of knowing where your strengths lie. Students will have to work on academic papers, journals, and essays as well as fiction, stories, and non-fiction. Practical experience is gained in the form of internships that are offered at esteemed and prestigious institutes in Australia. You can use this link to apply for admission or learn further details. If you have an interest in writing or wish to pursue a career as a writer, this course is a perfect starting point. The course lasts one year and takes you through various aspects of writing, editing and publishing. Students are expected to complete a dissertation project. This will enable them to grasp nuances of the different styles of writing involved. You can also choose to take the course online if you are based in another city or country. You can also pursue a Master’s or PhD should you desire to do so. Visit this page to learn about admission requirements and fees. Having an intensive and comprehensive degree to start your career can be a blessing. The 3 year Bachelors course teaches students of all ages to manage a profession in the media industry. Major aspects of the industry are covered such as journalism, communication, creative writing, music, drama, literature, and graphic design. You will get a chance to pick and focus on your chosen field. A complete education is only possible when students can experience the community and profession first hand. Internships, networking events, seminars and workshops are offered so they can gain valuable knowledge and insight. You can use this link to learn about the admission schedule and fees. A short refresher course is just what the doctor ordered for writer’s needing inspiration. The 3 hour long course costs $19 and is amazing because of its practical inputs and exercises. Writing is a solitary job and taking part in this online course can give you a break and engage you in relevant exercises, ideas, and strategies. You will need to make an account before you can purchase the course. Once you have done so, you can immediately start learning and get to work. There are different genres of writing one can learn but screenwriting is a style of its own. Film and television industry has its rules, tricks, and tips that writers need to be aware of. Selecting a specialized, focused course is an excellent way to ensure you go prepared in the professional world. It is an 18 month full-time course that takes you through the depths of the film and television industry. Students and writers also can choose particular subjects instead of opting for the complete course. The course is aimed at professionals or older students who want to pursue a new career or improve their prospects. For the same reason, evening classes are provided should the students be employed or have day jobs. A part time study option is also available for students and writers. While screenwriting is one career avenue you can choose after finishing the course, others are direction, editing, art direction, production, photography, sound recording, and post production. Interested writers or students can fill this form to learn further details and fees. The world is changing and it is time education adapts to the new age. Courses such as the Doctor of Creative Industries at Queensland University of Technology are a boon for the modern age. Revolutionary, analytical teaching practices that inform the students to look at subjects in an in-depth manner are encouraged here. You will get a chance to design research and study projects that pertain to your field. While this isn’t a writing focused course, you can choose to become a writer or communicator after finishing this 3 year course. This opens the door to many careers and options such as researcher, writer, teacher, communicator, analyst, designer, and educator. Find the eligibility requirements and course schedule available here. A practical and well-crafted post-graduate course will come in handy for writers and authors. Griffith University has a 1 year part-time online course for local and international students. Students will be able to polish their existing skills, master new talents and become experienced in creative and professional writing. You will be exposed to the real life implications and insights of the publishing and media industry. The elements of Professional Writing will equip you for careers in public relations, media, journalism, communication, digital media, and advertising. In Creative Writing, you will ensure your grip on fiction, literary fiction, non-fiction, novels, short stories, and journalism improves. Visit this page to find your eligibility, fees, and application requirements. Choosing to study at one of the most successful media academies in Australia is always a smart decision. Opting for the Master of Creative Industries at JMC Academy can prepare you for the literary and media industry. This course is personalized and customized so students can focus on the niche and profile of their choice. Theory is used to supplement practical learning and students are encouraged to network, intern and communicate with mentors and professionals. The final culmination of the project comes in the form of a project. The project is something unique and cool such as creating a game, writing a musical score, filming a video, a short film, animating a video or choreographing a song. It is done to test the limits and give students an inkling of what lies ahead. The 2 year course is available full time in Brisbane, Sydney and Melbourne. Use their online form to apply and learn more information about fees and schedules. This 1 year full-time or part time course is ideal for students looking to gain quick knowledge and expertise. Intended for writers with a Bachelor’s degree or sufficient experience, it is a refresher course for writers and authors. Students will be able to pick a major and focus on their field of choice. Learn how to create compelling characters, intriguing structure and plot for your stories. A swift review of basics and deeper attention to advanced strategies is involved in this course. Creative, professional, and corporate writing are the options open for you. You can also choose to work in communication, advertising, media, digital media, journalism, publishing, and writing. You can visit their Admission page to learn eligibility, dates, and fees. A writer’s block can be frustrating and dampen your spirits. Professional or published writers don’t have the time to enroll in lengthy courses and can benefit from refresher workshops. This 2 day intensive writing course at Tafe is just what the doctor ordered. Amateurs and experienced writers can take part in this course to get encouragement and guidance. Novice writers can also find information and help on getting published and noticed by the literary industry. Richard Davis teaches this course and participants form a community that provides constructive criticism, support and advice. The course costs $240. The application form is available here. Sometimes all you need to get back to writing is a change of scenery. Writing retreats are often held in scenic and blissful places. The natural beauty frees the tired and stressed mind of a writer. It pushes you to imagine and write in ways you didn’t before. The Relax and Write Retreat held by Edwina Shaw promises to do all that and more. A 2 day retreat in Highfields, this is only for women. Writers can expect to interact and mingle with women and authors of all ages and fields. You will communicate, read, write and learn what it means to have a positive support system. The purpose of this retreat is to make writing not seem like a job or a chore. It will unblock your energies and give you the change you crave. What better way to write than in front of sweeping hills and panoramic views? You can contact Edwina to book a spot. The retreat costs $400 including accommodation. 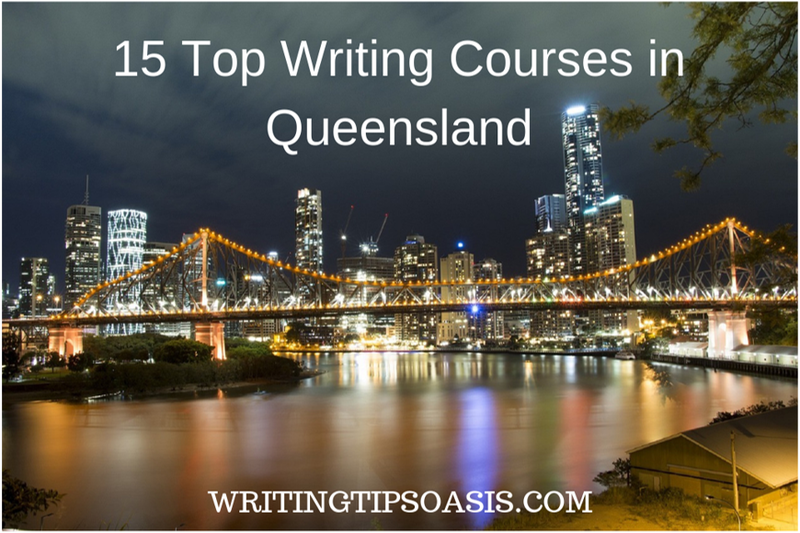 Do you know of any other writing courses in Queensland? Please tell us about them in the comments box below!